Jane Austen is best know for her novels and her close-knit family, particularly her relationship with Cassandra, who painted a famous portrait of her sister and for burning a number of her sister’s letters following her death. Following her first novel, Sense and Sensibility, Austen turned to her second novel, Pride & Prejudice, originally titled First Impressions. Her second novel has been one of my favorites for many years, and I think I’ve read it at least five times or at least parts of it at any given moment. Each time I read it, I learn or discover something new, and I think that is the mark of a successful author. January 28, 2013 is the 200th anniversary of Jane Austen’s most beloved novel, Pride & Prejudice. Austen’s novel examines the differences between social classes, elements of marriage and morality, and comments on the societal expectations regarding the manners and education of women in different circles. It is often considered a great love story even as Elizabeth Bennet and Mr. Fitzwilliam Darcy spar with one another and must overcome great adversity and societal impediments to find their way back to one another. The novel and the author have become so popular in modern society that a number of spinoffs, continuations, and re-tellings have cropped up in recent years, and there are a number of blogs dedicated to her novels and those other novels and books. Facebook even has a page dedicated to the 200th birthday of Pride & Prejudice. Check it out. As part of my Jane Austen celebration, check out the giveaway below. Quirk Books is offering one copy of The Jane Austen Handbook by Margaret C. Sullivan to one winner in the United States, Canada, or United Kingdom. If you want to check out my interview with Sullivan, feel free. She offers some great insights into her love of Austen and what books she recommends for fellow Austen lovers. 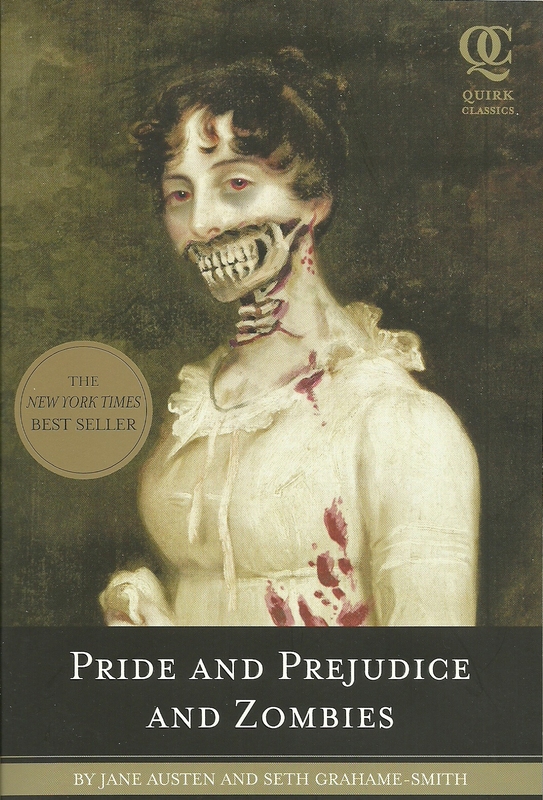 Quirk Books is offering one copy of Pride & Prejudice and Zombies by Jane Austen and Seth Grahame-Smith to one winner in the United States, Canada, or United Kingdom. To enter for one or both of these books, leave a comment about the first time you read Jane Austen and what you enjoyed about her work or the first time you read Pride & Prejudice and why you would reread it. If you have never read Austen before, leave a comment about what book you’d be interested in reading and why. Deadline to enter is Jan. 11, 2013, at 11:59 PM EST. I recently read and reviewed The Jane Austen Handbook by Margaret C. Sullivan (check out my review) by Quirk Books and adored the set up, the illustrations, and the information within its pages about the Regency period in England and the instances it plays a pivotal role in Jane Austen’s novels. Author and Jane Austen blogger, Margaret C. Sullivan kindly agreed to answer a few questions about her book and her writing. I’m happy to have this interview as part of the Celebration of Indie & Small Presses this month, and I hope you enjoy it. 1. When did you begin to fall in love with Jane Austen and her writing and why? I didn’t read Jane Austen’s novels until I was in my late 20s, and even then it took me a few years to work my way through them. I read Emma and Pride and Prejudice a year or so apart and liked them well enough to keep going. The third of her novels I read was Persuasion and I fell in love, hard. I loved the language and the dark humor and the intensity of feeling, not to mention the best love letter in the history of Western literature. “You pierce my soul.” All these years later those four words still make my toes curl. 2. When did this love of Austen transform itself into more than just a hobby and into a passion with its own blog and other books? Not long after I started becoming really enthusiastic about Austen’s work, we had the mid-1990s rush of film adaptations—first Sense and Sensibility, then Persuasion, then Emma (it actually took me a couple of years to get around to watching the 1995 Pride and Prejudice—I didn’t have cable, and was really intimidated by the idea of renting six videotapes). Around the same time there was a big rush of Austen biographies, and it was easy to feed the beast. Things calmed down around 1999, and then in early 2004 it started up again—a new film version of P&P was being planned, the producers were trying to get financing for Becoming Jane—and there was very little information, so rumors were being passed around as fact. I thought the fandom needed a news site, like the Harry Potter fandom site The Leaky Cauldron, dedicated to news about Jane Austen in popular culture, and I started AustenBlog. There is still a lot of interest in Austen-related films, despite the generally disappointing nature of the recent batch of films (in my opinion, which is not widely shared). 3. Explain your thoughts on the phenomenon or retellings, sequels, and mashups with zombies that now attach themselves to Jane Austen’s novels? I’ve been writing Austen fan fiction, some of which I have published, for more than ten years, so obviously I’m quite open to the idea in general. However, some of the quality of these productions is not good. Some are very well-written, but I personally prefer those that adhere more to the originals. There are some books that have been very popular that go far afield of the originals, but they are not to my own taste unless they are doing it for satire and humor. Speaking of far-out satire, I thought the idea of the first monster mashup, Pride and Prejudice and Zombies, was really funny, and I still do—and funny on many levels, not just the whole crazy juxtaposition of Austen and zombies, but the idea of repressed 19th-century British gentry being “zombies” like the suburbanites in the Living Dead movies. I also liked the presentation of the book as an edited “classic” novel—that kind of humor is very much to my taste, and I think would have been to Jane Austen’s taste as well, as she was a gifted satirist and understood a subtle, straight-faced approach to humor. I had no idea it was going to be such a big hit, and I had no idea that it would create such a really nasty backlash against Jane Austen. The hipsters who hated being forced to read her books in school now had an excuse to trash her, and sometimes in a manner that showed the critics distressingly ignorant of the actual novels (“they’re all bonnets and tea-drinking!”). I realize Austen’s books are not to everyone’s taste, but she took the novel and dragged it into its modern form from a morass of 18th-century melodrama and overwritten romance (in the literary sense, meaning not reflecting real life) and showed that it was okay and even interesting to write about everyday people and events. A lot of the “rules” we now follow for writing fiction can be found in the way Austen shaped her books differently from her predecessors—write what you know, concentrate on your hero’s story, and leave out stuff that doesn’t move the plot along, however amusing or interesting. You don’t have to like or even read her books, but I submit that all those writing fiction today owe her a debt. We can draw a line in the development of the novel from Richardson, Burney, Radcliffe, and Fielding through Jane Austen to Dickens, Eliot, James, right up to the present. I doubt that in 2011 we would be writing 12-volume epistolary romances if Austen hadn’t published, but I think literature would be poorer for the loss. 4. Do you have a retelling, sequel, or film adaptation? Why do you enjoy those particular ones over others? I don’t know if I have one over-arching item that stands out, but certainly within the individual categories I have favorites. My favorite retelling is Colonel Brandon’s Diary by Amanda Grange. Brandon has a really romantic, dramatic backstory, and it’s all right there in Sense and Sensibility if you look carefully! But Grange did a great job not making it overly melodramatic and unAustenish. When Eliza died in Brandon’s arms, I cried; being on the train at the time, it was kind of embarrassing. But if you ever thought Marianne Dashwood should not have married Brandon because he was a boring old guy in a flannel waistcoat, read his backstory, because it’s as romantic as she could ever have wished. I mean, he fights a duel, for crying out loud! A sequel I read a long time ago and then re-read quite recently for my Jane Austen book group is Pemberley Shades by D.A. Bonavia-Hunt. It is a really charming sequel to P&P, about four years after the Darcys are married. Lizzy is witty and amusing, just as she ought, and it’s fun to watch Darcy not only take her teasing but actually enjoy it and tease her back—clearly he has learned! Bonavia-Hunt obviously read J.E. Austen-Leigh’s Memoir of his aunt, in which he passed on some tidbits Jane herself let drop about the lives of her characters after the novel ended, and some whimsical bits in her letters about Mrs. Darcy’s and Mrs. Bingley’s favorite colors. My favorite film adaptation is the 1995 Persuasion (which is also my favorite Austen novel). While not a perfect adaptation, it is beautiful and romantic and feels very real, and the cast is just marvelous. It’s the only adaptation of Persuasion that doesn’t mess up Captain Wentworth’s gorgeous letter to Anne. Also it makes me want to drink tea, and tea is good for you. They are forever drinking tea in that movie. Some other books and films I’ve enjoyed that are not directly in those categories are The Jane Austen Book Club (both book and film), Michael Thomas Ford’s book Jane Bites Back, which is a hilarious sort of spoof of the worst excesses of Janeitism that I think Jane herself would have loved, and Laurie Viera Rigler’s books Confessions of a Jane Austen Addict and Rude Awakenings of a Jane Austen Addict. The thing all these have in common is that they celebrate our love of Jane Austen without being twee or overly sentimental. 5. Beyond reading Austen-related materials, what other books have you read recently and would recommend to others? Unfortunately I haven’t had much time to read non-Austen-related stuff lately! I read a lot of classics, but in many cases they are books that Austen would have read, so that makes them kind of Austen-related. However, I do recommend them on their own: anything by Fanny Burney, The Mysteries of Udolpho by Anne Radcliffe, and the rest of the “horrid novels” named in Northanger Abbey. I’m a big fan of Elizabeth Gaskell’s work and there’s a Gaskell Blog that is running a reading challenge for 2011. Austen fans should check it out—I think they would like Gaskell’s work. My favorite modern book that I’ve read in the last year or so was The Guernsey Literary and Potato Peel Pie Society by Mary Ann Shaffer and Annie Barrows. 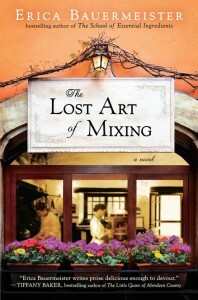 What a charming, thoroughly delightful book, sweet and romantic and heartbreaking. I just loved it. It’s not a very recent book, but I recommend it highly! 6. Please describe your ideal writing space versus your current writing space or if you currently have your ideal writing space, please describe it (you can also include a few photos of your favorite aspects of that room). I think my ideal writing space is in my head more than a physical place. It’s hard for me to write when I am busy and stressed out—there is too much furniture up there (as Gandalf said of Barliman Butterbur in The Lord of the Rings, my mind is like a lumber-room: thing wanted always buried). So anywhere where I am left alone and have time and space to clear out my head and concentrate on my task works for me. That can be anything from a busy coffee shop to the balcony of my apartment on a warm spring day. Lately I’ve been getting a lot done by getting up very early (5 a.m.). If I went to bed early and am well-rested, that’s the best time of day for me to write. 7. What projects are you working on now? Could you provide my readers with a few hints? A few years ago, I wrote a novella for the Jane Austen Centre at Bath’s online magazine, a sequel to Northanger Abbey called There Must Be Murder. It was serialized over a year. I had some requests for hard copy publication, so recently I published it as a paperback, and it’s also available as a free ebook—I’m very enthusiastic about ebooks and have four ebook readers, plus my smartphone! I also have a short story in an anthology being published by Ballantine later this year called Jane Austen Made Me Do It, edited by my friend and fellow Jane Austen blogger Laurel Ann Nattress. My story is a tidbit of backstory from Persuasion, inspired by my love for Age of Sail novels such as the Hornblower series. Thanks for having me! This was fun. 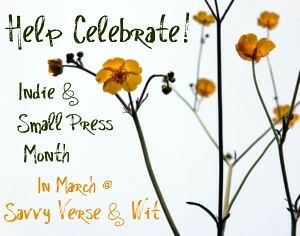 Thank you, Margaret, for being part of the March Celebration of Indie & Small Presses. An independent publisher from Philadelphia, Pa., Quirk Books/Classics blends the work of classic literary masters with new scenes of horrific creatures and gruesome action. The publisher strives to mesh class literature with pop culture with the hope of creating literary cult-classics. 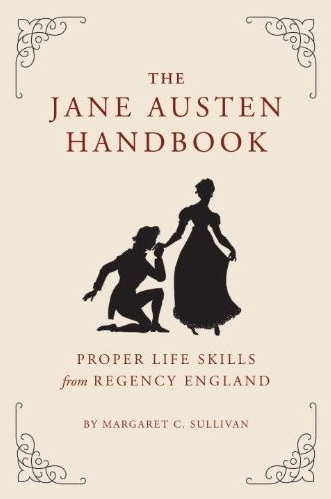 The Jane Austen Handbook: Proper Life Skills from Regency England by Margaret C. Sullivan, which Quirk Books will publish on March 8, is a nonfiction step-by-step guide on how to live in Regency England as a young lady or young man, though most of the advice pertains to women. Chock full of illustrations of common dress for men and women, among other traditions, the handbook is practical and fun. Humor is not forgotten either, as Jane Austen would have poked fun at certain traditions, so too does Sullivan. The book is divided into three sections: logistics of life among the gentry in Regency England; the ins and outs of daily life; and the rules for choosing a prospective husband. Readers interested to learn how much Mr. Darcy is worth today should check out the handbook because apparently there is some controversy in the matter. Each chapter contains a quote from one of Austen’s novels that applies to the contents of each chapter, and readers new to classic Austen books can rely on this handbook to understand the differences between a port-chaise, a hack, and other forms of transportation as well as the differences between various dresses worn by young ladies. There is a schedule of a woman’s typical day running a household, the responsibilities of gentleman, what these people did in their leisure time, and how to recognize the gentry from royalty and more. The appendix contains synopses of Jane Austen’s novels and other works, plus a list of film adaptations, sequels, retellings, and other “paraliterature.” There are a number of other resources, a glossary, and selected bibliography as well. The Jane Austen Handbook: Proper Life Skills from Regency England by Margaret C. Sullivan is a great companion for the Jane Austen fanatic and fan because it offers guidance on how young men and women navigated a complex set of social rules and even broke them at times. As each moment in life is addressed, Sullivan also offers moments in Austen’s work where traditions are bent. Overall, a fantastic guide to a time period that many modern readers have a hard time imagining but will have fun navigating in not only Austen’s novels but also in the handbook. It gives new meaning to role-playing. Margaret C. Sullivan is the editrix of Austenblog.com. She lives in Philadelphia. This is my 7th book for the 2011 New Authors Reading Challenge.